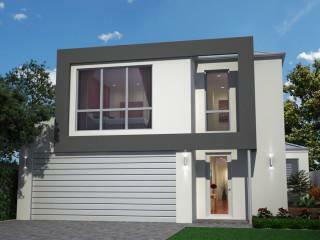 The Kirby Hip offers a modern elevation with a cleverly designed interior. 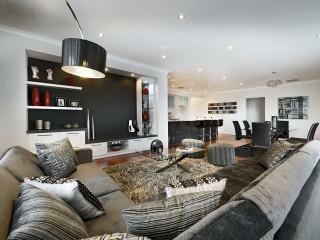 The home flows from room to room effortlessly and provides all the modern features of a family home. The over sized master suite is a private sanctuary complete with sliding doors out on to the verandah. The kitchen has plenty of bench space and the living area seamlessly escorts you to the outdoor living. The Kirby Hip provides plenty of storage and multiple living areas for a big family or a couple who like to entertain. 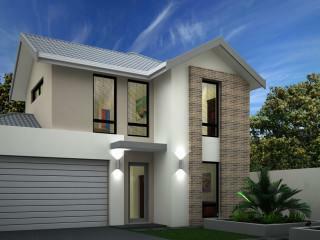 A 3 bedroom 2 bathroom home designed to maximise the living space. An adult’s retreat is a great feature of this home. Mum and Dads will love this house with the upstairs retreat. This stylish home features a ground level brick free-form living area with theatre and study or 4th bedroom, while upstairs is a parent zone and master suite.